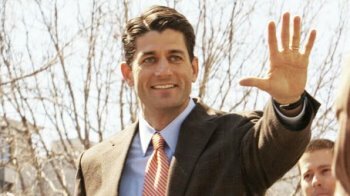 "Ryan’s election gives House Republicans a chance to hit the reset button. Throughout Boehner’s nearly five years as Speaker, centrist members and Tea Party conservatives were at war with each other over policy and tactics. Now, it’s all Ryan’s problem. He has made peace with conservative hard-liners for now, saying he’s open to rules changes that will bring more rank-and-file members into the decision-making process. And Boehner helped “clean out the barn” for Ryan this week, ensuring his successor won’t face any major fiscal crises until after the 2016 election." Ryan is one of many Delta Tau Delta alumni who have entered politics, and the second vice presidential candidate to emerge from the fraternity nationally: Alben Barkley, a longtime senator from Kentucky, was vice president during Harry Truman's second term.